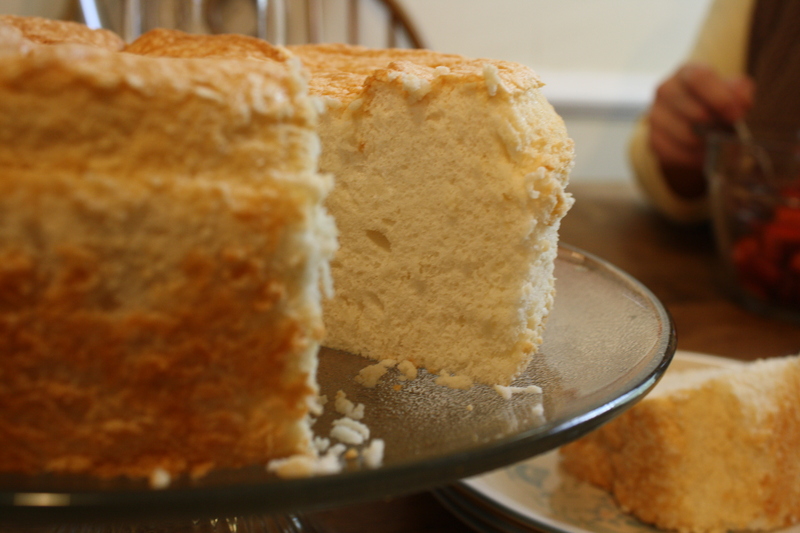 Remember that failed angel food cake I made a few weeks ago? It was lumpy and dense, not light and airy like the cake should be. 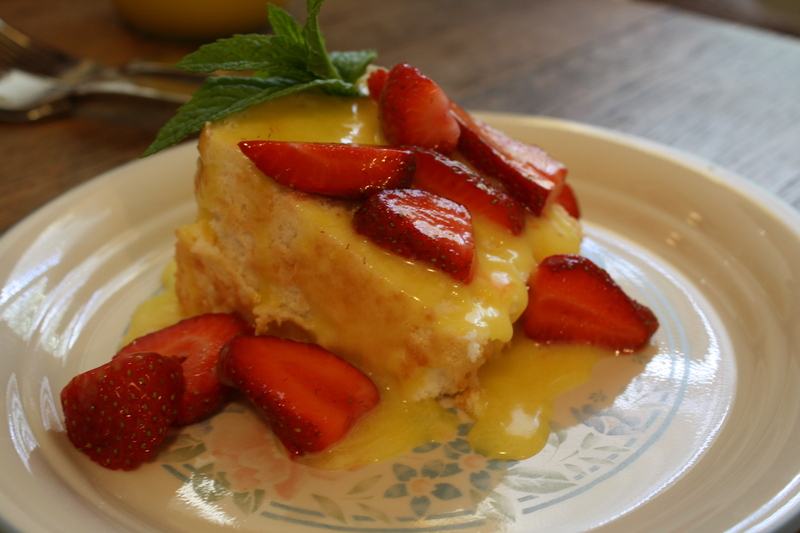 Well, a little research and a new recipe (from America’s Test Kitchen) changed everything. My parents were coming to visit for two nights. 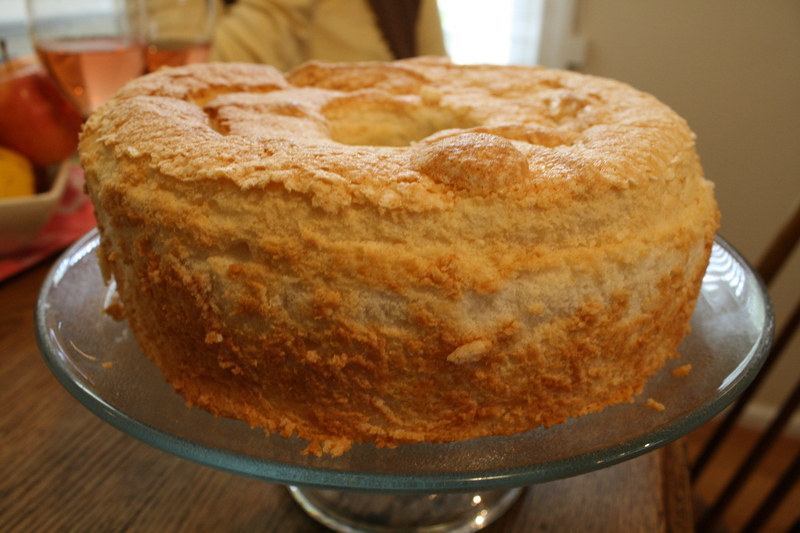 The evening before they got to town, I made my second angel food cake, to see if my research paid off. I waited to slice into it until they were in town. After walking around downtown and helping our local economy, we went back to Cafe 714 (aka my house!) for a pre-dinner dessert. My dad poured some bubbly rose wine, while my mom topped slices of the gorgeous cake with homemade lemon curd I had also made the night before, and sliced strawberries, the first of the season from a local farm. Oh. My. Goodness. This was so delicious. I wish I could share a slice with you all — maybe I’ll start taking orders and sell these cakes and lemon curd! My mom even said she didn’t know if she could buy a cake again. 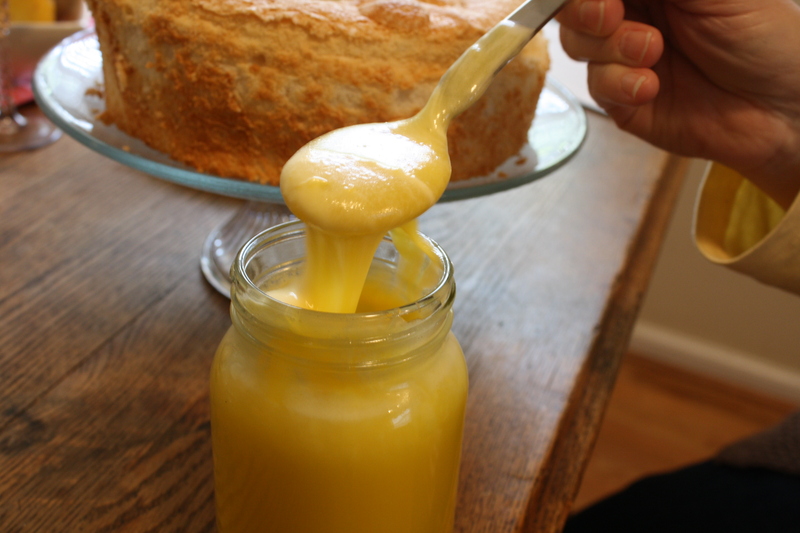 As good as the cake was, the lemon curd was also fabulous. My roommate had tasted some of the Trader Joe’s lemon curd in our fridge that morning, and was shocked by the flavor difference between that and the homemade. Maybe that’s what I’ll start marketing and selling! It turned into a three-cake week for me. 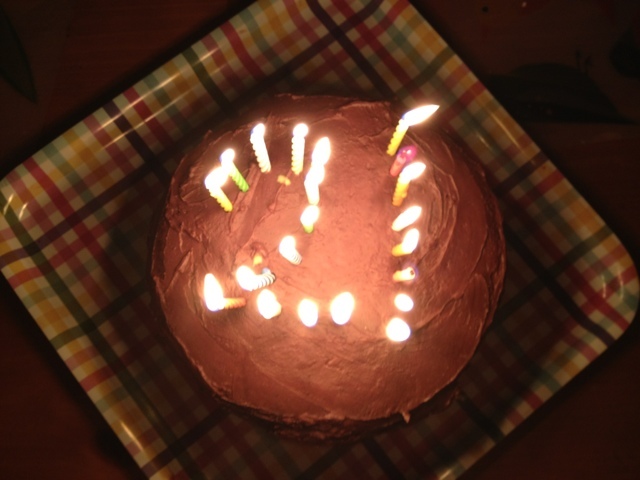 Saturday, I made a chocolate layer cake for Emma’s 21st birthday. 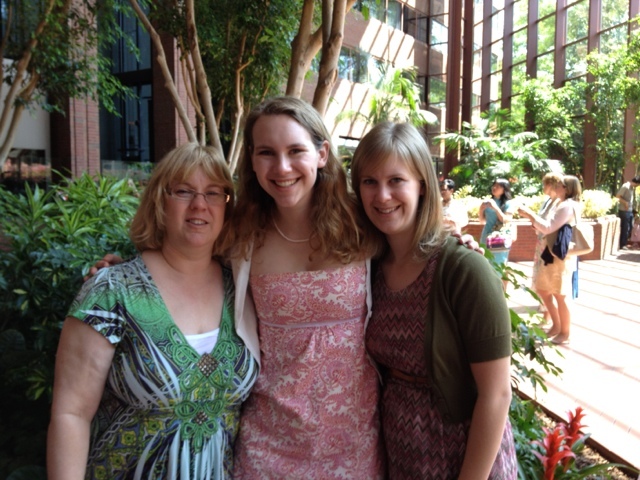 My parents and I went up to UVA to celebrate her birthday from the week before, and to then attend her sorority’s Mother Daughter Tea. Though, there was no tea, just brunch. And lots of cute sundresses.